History definitely won't be on the Minnesota Twins' side Tuesday when they take on the New York Yankees in the American League wild-card game. In fact, you could argue that history is actively rooting against them. The Twins' string of playoff appearances in the early aughts coincided with a stretch of dominance for the Yankees, who eliminated Minnesota from the playoffs four times from 2003-10. Vegas, as you'd expect, is betting against them. Bovada gives the Twins miniscule 28/1 odds of winning the Wild Series, while the Yankees are -245 favorites (per Odds Shark) to knock them out Tuesday. But the Twins have made a habit of defying such predictions this year. Minnesota is the first team to lose 100 games and make the playoffs the following season, while its combination of sound defense and a surprisingly potent offense should be enough to give starting pitcher Luis Severino and the Yankees pause. Many players subscribe -- at least in postgame interviews -- to the notion that hitting is contagious. It's hard to argue with these Twins. They were prone to single-inning outbursts this season, and scored six or more runs in 18 individual innings this season. If Severino slips up (and he might. See below. ), the Twins could make him pay. 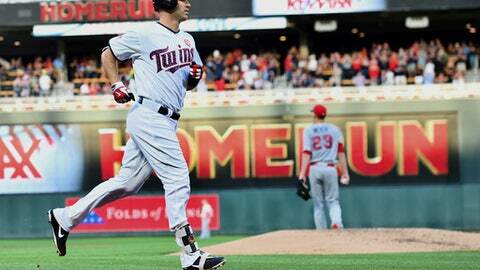 The Twins -- perhaps as an extension of their whole underdog ethos -- do plenty of their winning on the road. They went 44-37 on the road this season (Minnesota's best road record since 1991, a team which happened to win the World Series) vs. just 41-40 at Target Field. It's worth noting that their big turnaround, the day that management opted to sell at the deadline and Paul Molitor wrote "no retreat, no surrender," took place on the road. Severino has no playoff experience. At all. Luis Severino has, somewhat remarkably, never pitched in a playoff game. At any level. Ever. Somehow, Severino has made it through five levels of minor-league ball and three seasons with the Yankees without making so much as a cursory appearance in a playoff game. Also, Severino didn't pitch particularly well in his last meeting with the Twins just two weeks ago, allowing five hits, three runs (all earned) and a walk in just three innings of work. 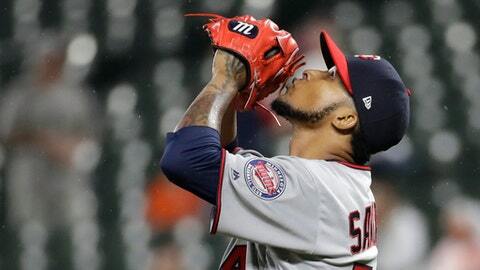 On the flipside, Twins pitcher Ervin Santana has made eight playoff starts over the years, including a win in Game 5 of the 2005 ALDS in a win over … drumroll … the Yankees. Buxton's game-breaking speed is good for a highlight or two every week, but it doesn't tell the whole story. 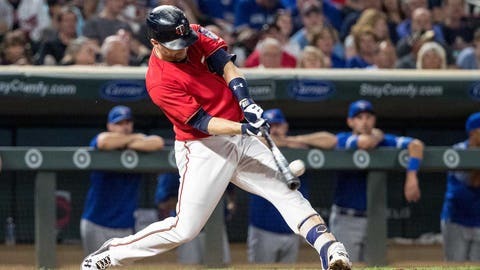 The Twins have committed just 78 errors this season, second-fewest in the American League, while Buxton and first baseman Joe Mauer have played Gold Glove-caliber defense this season. They finished 10th in the majors with 17 defensive runs saved. The Yankees had 95 errors, eighth-worst in the AL. The Yankees love the short porch in right field, but the Twins' lineup could use it to punch them in the mouth against a right-hander like Severino. Joe Mauer, Eddie Rosario, Max Kepler and Jason Castro are all lefties, while switch-hitters Jorge Polanco, Kennys Vargas, Eduardo Escobar and Robbie Grossman would be facing that 314-foot right-field line distance as well vs. Severino.